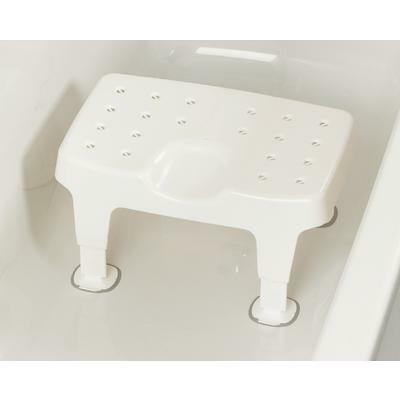 A tough white moulded plastic stool type seat with advanced sucker design for maximum security in water. The seat has holes for drainage and a partial cutaway for easier personal cleaning. The seat is contoured for comfort and is available in two heights. Seat size 400 × 240mm (15¾×9½”).